Creatine promotes anabolic processes, which provide the building blocks of proteins occurs to the muscle tissue causing an increase in lean body mass, muscle strength and physical fitness of the organism. Megabol Total Creatine - Creatine is now a very popular supplement. Most of the published information on the performance and capabilities of this supplement is well founded. With creatine muscle cell gets energy to work with molecules of ATP breakdown (acid adenozynotrifosforanowy) to ADP. ATP molecules are played to ensure an adequate amount of energy used in the working muscle fibers during intense workouts. Creatine promotes anabolic processes, which provide the building blocks of proteins occurs to the muscle tissue causing an increase in lean body mass, muscle strength and physical fitness of the organism. Each pure chemical formula of creatine is: C4H9N302 a quality indicates the purity of the by-product - creatinine. According conducted by the Institute of Technical Biochemistry and Biotechnology Department of Food Chemistry Technical University Research Total Creatine ™ is 99.99% free of this pollution, which according to current press releases puts him at the top spot on our market (certificate of I-29/2 / V / 00 dated 02/06/00). Our ambition is to make deciding on Total Creatine ™ - Megabol® have a guarantee that they have chosen pure creatine at the lowest price. Some sources suggest the use of so-called. transport systems or supplements carbohydrate or carbohydrate-protein odpowiedno balanced, containing creatine. 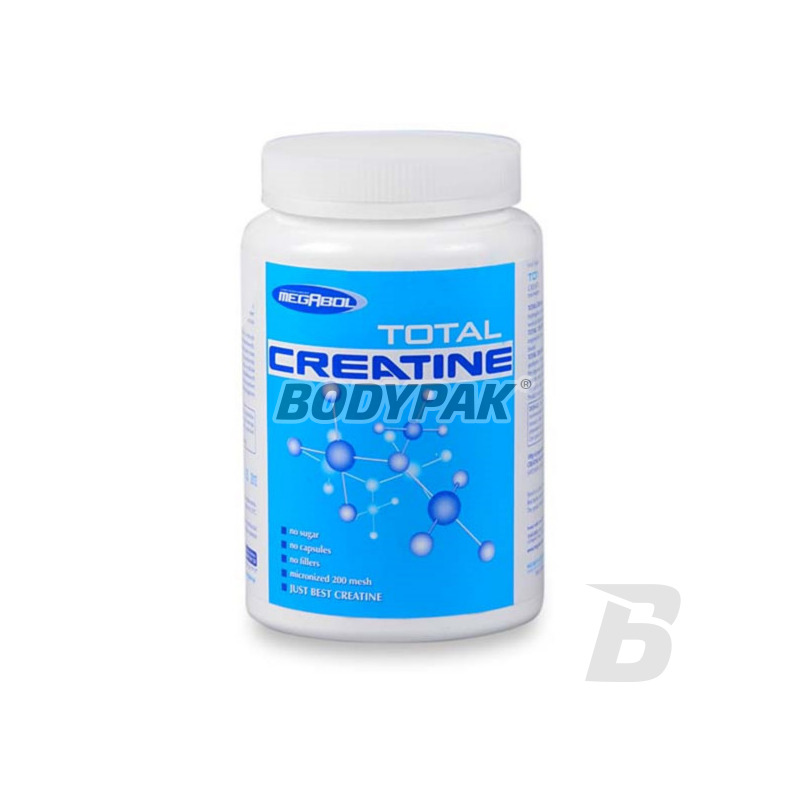 In the case of Total Creatine ™ role of this transporter may provide nutritional ANABOLIC ™, which should be consumed in an amount of 50 g of 5 g creatine. Creatine can be taken separately. 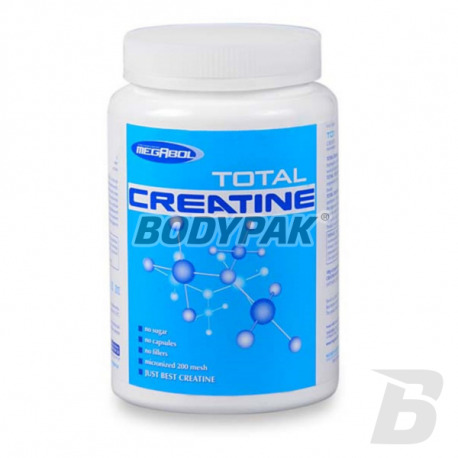 Note that Total Creatine ™ - MEGABOL® due to its perfect mikrorozdrobnienie and pure form begins to be absorbed faster than creatine in capsules or tablets.